Welcome new readers. I swear the blog is usually tidier than this. I uhh, just had some people over late last night and I didn't have time to clean. Care for a drink? No? Okay we will get straight down to the business at hand. 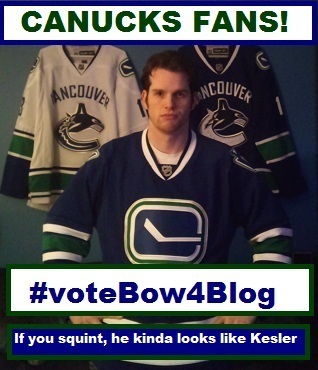 One thing I am very passionate about is the Vancouver Canucks hockey team. There are Trevor Linden references all over this blog and last year, even with readership expanding to places that don't care about the Canucks (4th World countries as far as I'm concerned), I started writing posts about the team. I write about whatever is on my mind, and being a fan of the team means that, well, they are at the forefront more often than not. Sorry to my readers in South Africa, you'll just have to deal with that. "A Funny Thing Happened at 35,000 ft"
"My 6 Point Plan To Sit At The Grownup Table This Christmas"
"Blog Off 2011: The Buffet System is Broken, People!" 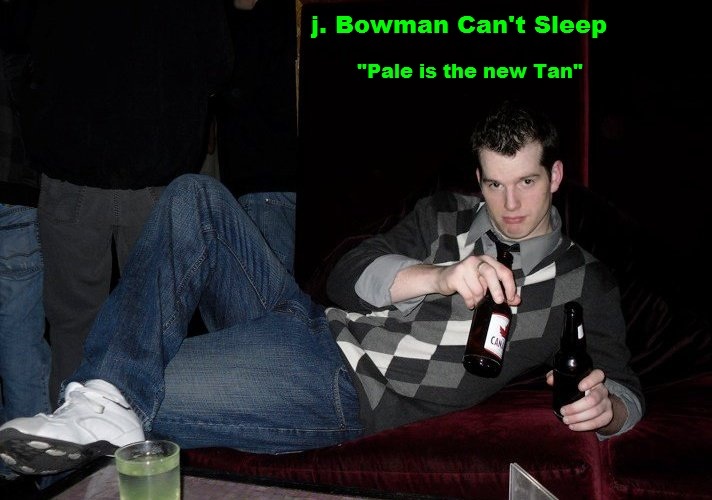 "Sidney Crosby Bowman: Year One"
"Mall of Duty: Shopping Warfare"
"Irrational Fear of the Month: November 2010 - The Ocean"
Don't forget to follow me on Twitter (@jbowmancouver) or go on over to the j.Bowman Can't Sleep Facebook page and click LIKE (the majority of the cool kids are doing it) and I thank you in advance for your support over the next few weeks. I'm up against some awesome talent with legions of followers, so if you love scrappy underdogs, I'm your man. I'm like "Rudy", only taller.